Malaysiakini : Please also check ex-IGP's salary as Chairman for Prasarana. The Penang division of the Malaysian Trades Union Congress (MTUC) has expressed shock over Transport Minister Anthony Loke's revelation yesterday that the executive chairperson of the Malaysian Aviation Commission (Mavcom) is paid a monthly salary of RM85,000. 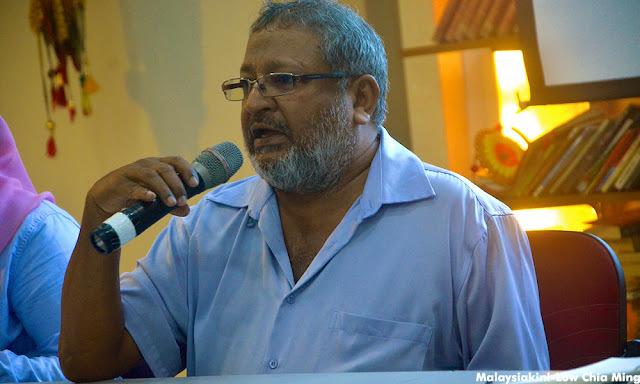 MTUC Penang secretary K Veeriah said in light of the said issue, workers are wondering aloud how much is paid to the chairpersons of other bodies such as the Land Public Transport Commission (Spad) and the Election Commission, among others. "Such inappropriate rates of pay, we take liberty to contend, is a complete waste of the country's financial resources and, in the case of Mavcom, the RM1 that we pay for a flight," Veeriah told Malaysiakini. "To put it in another perspective, we think it is immoral and devoid of any justification - why, even criminal for a want of description," he added. Veeriah said the vast segment of the nation's citizens are trapped in the vicious circle of middle and low-income pay.